Perfect next to a sofa, chair or bedside this shaded floor lamp comes with a space- saving end table with shelf. The Marville floor lamp comes with stylish space-saving storage and flexible lighting benefits all in one! Perfect for tight corners or compact living areas, the base features a large, wood-finish end table spacious enough to house magazines, books, and countless other options. The lamp offers shaded lighting for reading or other tasks. 55" high overall. Shade is 6" across the top x 16" across the bottom x 11" high. Table is 20" long x 14" wide x 23" high. 18" arm length. Uses one maximum 150 watt bulb (not included). On-off rotary socket switch. Mission style table end floor lamp by the Regency Hill brand. Functional end table holds refreshments, reading material, and more. Farmhouse wood finish. Open crate design. Empire-shaped top shade. Did a search for floor lamps and your site came up and the price was in the range I wanted to pay. I did not have a big space near my bed, and I like to read a lot. I was waiting for sale, and I hope I will satisfied with this lamp. Fits my needs for small side table and lamp combination. Also on sale with free shipping. Looks good - fits décor. I enjoy reading my newspaper, mail, books, and other materials sitting in my favorite chair. My previous end table with lamp is broken. Thank you! It was what Satisfy my needs. I want something that can hold magazines, provide enough light to read and something to put a drink on! Perfect! It will go well in my office. I have two rambunctious cats who knock over lamps. This is just what I am looking for. It will go next to my new recliner and it will be perfect! I recently purchased a lamp from Lamps PLus and am very happy with it. You all have a great selection from which to choose, and I felt this one would fit my needs well. Sale price and need for an end table with a built-in lamp. I love the design and the space it has on the bottom for books and other things. I also love the look. Im a happy grand ma! I have a sectional, and need a combo table and lamp at the back corner of sectional. Replacement for an older, similar unity; first choice was not available. I liked the price and the fact that it has a utilitarian purpose, I was looking for something to put magazines etc. plus a table, and lamp now I've got all three, and it's a very nice look. I needed an additional reading light and the swing arm light attached to an end table with magazine storage seemed ideal. It is on sale as well! Both the style and size are--I hope--perfect! Nearest to needs of elderly person. I needed something like this to fit between two chairs plus, it has a magazine or storage rack. We like the table and lamp all in one combo and have been looking at it for quite some time. So happy that it went on sale. It fit my available space and had a bright adjustable lamp. I have been looking for just such a lamp for a while. My daughter buys from you and suggested I check your website, which I just did and found exactly what I had been looking for - or at least I hope so. I'll know for sure when it arrives and I get it together and working. Needed a side table/lamp combo. Our old one failed. Does the lamp arm swing? what type bulb is used? BEST ANSWER: Hi - This uses one maximum 150 watt bulb. Whatever we have. Usually a 100 watt equivalent bulb. What is the shade made of and is it a collapsible shade when shipped? BEST ANSWER: This includes a polyester blend fabric shade, not collapsible. 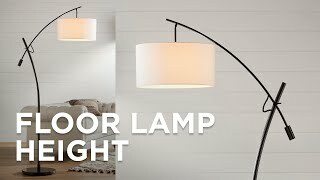 I don't know what it's made of, but the shade's fabric is similar to any comparable side-table lamp's, and while the table must be assembled (minimally), the shade is entirely whole when shipped. Thanks. The one we just bought on sale similar to this came with a collapsible shade that looks like burlap. Not really appealing so that's why I'm asking the question. I'm considering returning this one and buying the one here. It is a 3 way light bulb? BEST ANSWER: Hi Sandy - No, this includes an on/off rotary switch. BEST ANSWER: The magazine bin is 14" wide by 11" deep. 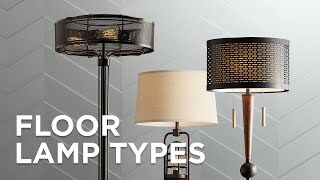 What is the lamp shade size? BEST ANSWER: The lamp shade is 6" top X 16" bottom width X 11" slant. Where is the plug? I would really like a picture of that part of the lamp. BEST ANSWER: The lamp cord directly comes out from the bottom of the lamp pole from underneath the table top with the plug attached. I have emailed you a copy of a picture showing the cord placement. The plug comes from under the pole supporting the lamp and exits out the back right there. I no longer have the lamp so I can't take a picture. Does it require any assembling? BEST ANSWER: Yes, because it comes in a flat box, but it's not too, too difficult. The lampshade also comes flat, which is sort of weird, but it turned out fine. It does require some assembly but it is not hard to do and did not take a long time. Yes. The biggest difficulty was getting the shade on the lamp. Yes it does. However it was very easy to do. Love my two sets. Does this come in oak? BEST ANSWER: Hi - this exact design does not, but we have an option that is in an oak finish. See the attached design. The lamp shade (that must be assembled)was designed by a small-handed, strong, puzzle-loving engineer. It will take you a while. The rest of the item is not too bad, but once you get it assembled you will notice that is looks very cheap. Table lamp which fits nicely between two recliner chairs. I bought this table lamp to fit between two Laz-Boy recliners; it worked out great! The lamp shade, however, comes disassembled and it was impossible to assemble without tearing it. I had to buy another lamp shade from a local retailer as a replacement. Cons: Lamp shade which could not be assembled. 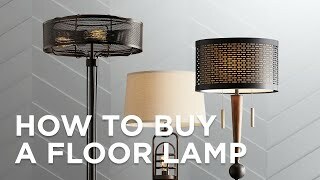 GREAT Lamp - This is my 2nd purchase on this lamp!!! Had one and my husband liked it so much we bought another one. It's a great piece for my den right next to my recliner. Fits perfectly and does double duty in a small space. This item added the needed light to a sofa for reading the newspaper. With the table top it gave a place for that cup of coffee as well. I thought this lamp was a very nice addition to my home. It made it through 2 moves with 2 younger children and it held up nicely. I ended up not needing it in my new home and was able to sell it at my local consignment store. I really love my lamp with the end table .It was easy to assemble and it fits perfect in my room. Thank you so much. A very good table and lamp. I just would like to be able to put in a higher watt bulb. Its fine. Attractive, fits our decor, and light. Table was simple to assemble. I'm not happy with the lamp shade. It did not snap together as the instructions showed. I will need to purchase another one. The swing arm comes loose from the table when it is turned and the lamp shade does not snap securely in place after it is opened. Hi Andrew M., sorry to hear about these issues with your floor lamp. Could you reach out to our customer service team via phone, email, or chat with more details so they can provide some troubleshooting help? Thank you. Do not recommend purchase. Washer underneath table that is meant to hold steel tube in place is too small; it slips into the fixing hole when you tighten the wingnut, allowing the support to collapse. Same on both units I bought, very disappointed. Hi Lesley B., so sorry to hear that you're having trouble with one of the washer components during the assembly of your floor lamp. Our customer service team would be happy to help with the assembly process and provide replacement parts if needed. Please reach out to them via phone, email, or chat. Thank you.